Fundamentally, web is designed for all kind of people irrespective of whatever hardware they are on or what software they are using or which location they are at, their language or their ability. When web achieves this objective, it is said to become accessible to people having disabilities. Though Web allows people to seamlessly communicate and interact with one another round the globe, sometimes it becomes a barrier in their communication. This can happen if the websites, applications, technologies, tools etc. are not designed in line with the physical abilities of the people. To overcome this situation, web accessibility is defined for all. Let us understand this concept. Web accessibility refers to the facility, with the help of which people with disability are able to access web. More precisely, people with disabilities can easily perceive and understand the content available on the Web. There are millions of people with disabilities who can’t access the Web properly. It is because most of the websites and software tools have accessibility barriers. Those barriers make it difficult for the differently abled people to use the Web. Accessibility could also be advantageous for old people whose abilities get changed due to old age. As more and more software tools and website become available, differently abled people are able to use the web more effectively. The major aspect of web accessibility is to design website or software tool in such a manner that it can adhere to different user needs, their preferences and various situations. Such websites, apart from benefiting people with disabilities, also benefit those without disabilities in few circumstances. For instance, if people have slow internet connections or if anyone broke his/her arm, web accessibility comes to their rescue. Web is an essential resource in various domains of life – be it education, employment, government, trade, health and other domains. In many countries web is taking place of many traditional resources serving various domains of life. Therefore, it needs to be equally accessible to people with disabilities, allowing them to participate actively in the society. Web accessibility has now been considered as basic human right and is recognized in the UN convention on Rights of Differently-abled People. People with disabilities find web as an opportunity to gain access to various types of information. Previously, the primary way to gain information was go to library and read it on paper, which sometimes used to be a barrier for many differently abled people. These accessibility barriers like print, audio, video can be easily overcome with the help of various Web technologies. Looking at the need of disabled people to access web in an efficient manner, World Wide Web Consortium (W3C) has come up with the solution – defining the guidelines. Alternative to Text: there is provision of alternatives for text content that is in non-textual form. For instance, it can be converted into forms like large print, braille, symbols or any other language, which can be easily accessed. Alternative to Video: there is also provision of alternatives for video and audio content. For instance, in case of time-synced video, closed captions and audio descriptions can be provided. Content that is adaptable: creation of content in a different manner without hampering the original structure or information portrayed via content. Addition of slight contrast: the content needs to be easy, can be seen and heard without much efforts. For example, try using different color for foreground and background so that it could be easily detected by people who are color blind. Accessibility via Keyboard: the functionalities to be provided to the users should be available through keyboard. Availability of sufficient time: the users need to be given sufficient time to read and use content. Avoid Seizure Content: it is suggested not to use content that can cause seizures. For instance, avoid designing content that flashes more than 3 times in a second. Use proper Navigation:try to give users luxury of navigation, find appropriate content and know where they are while browsing the information. 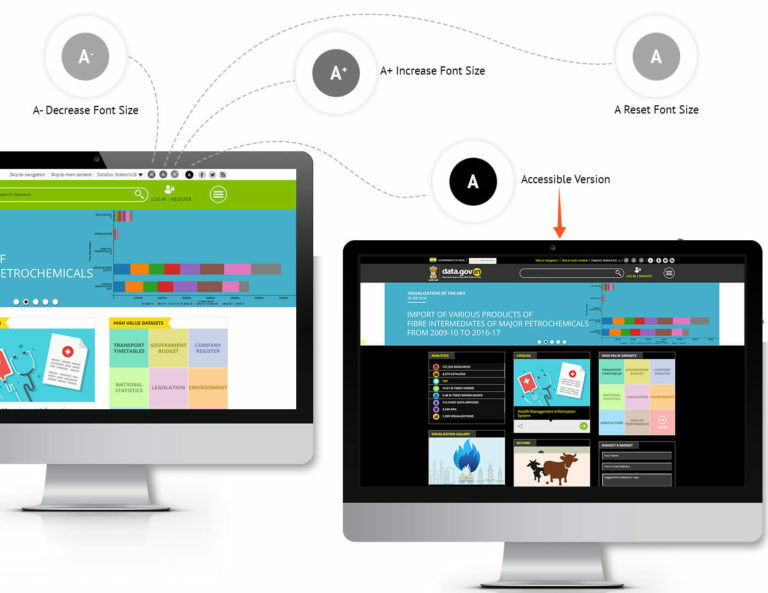 Enhance Readability: try making content that can be easily read and understood by the user. Avoid abundant usage of italic text. Predictable Content: make the appearance easily predictable and operable. Provide Assistance:provide your users with proof reading options so that they can avoid making mistakes. Also, help them make corrections in the content in a simple manner. Improve Compatibility: make the content compatible with present and future users by incorporating assistive technologies. The web accessibility resources are intended to meet the requirements of various people such as managers, researchers and many others. 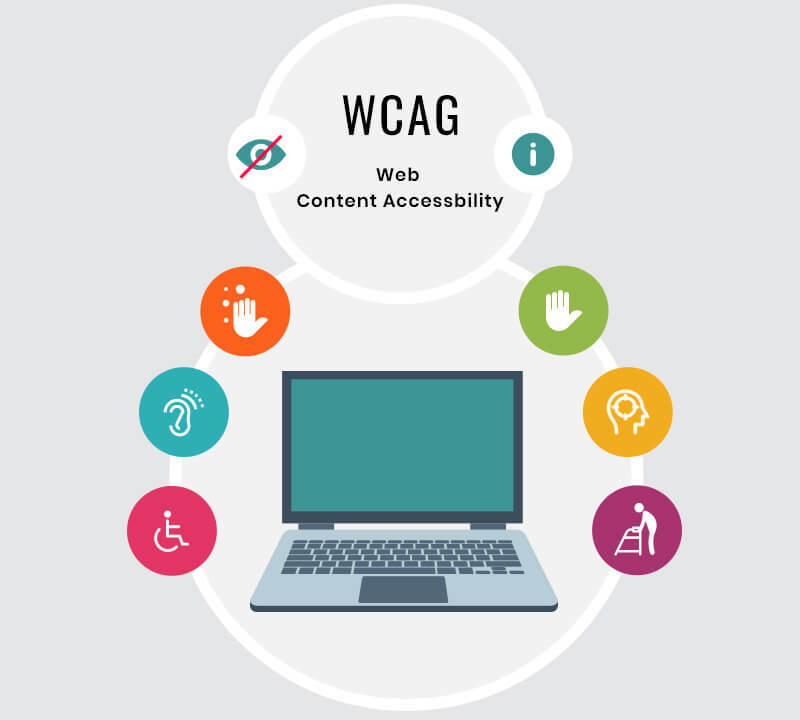 This is very important to note here that WCAG is a defined technical standard and not an introductory material to know about accessibility. Let’s elaborate how each of the above can be benefitted. Moreover, there is also provision of screen readers, who read the site and can benefit those who have problem in reading. For smartphone users, the web content should be perceivable, understandable, operable and robust. Initiating web accessibility across diverse group of people seems a challenging task. And, the wide spectrum of disabilities makes it difficult to define the content that can be accessible everywhere. However, the access gap leaves us with limited options and in this world of digitalization, it becomes really important to make the web accessible to the disabled. For this, organizations have to seek ways to make their content accessible across levels of the society. Well, we wrote this post to make people aware of web accessibility; and to know how enterprises can make use of web accessibility to make their site accessible to the disabled.